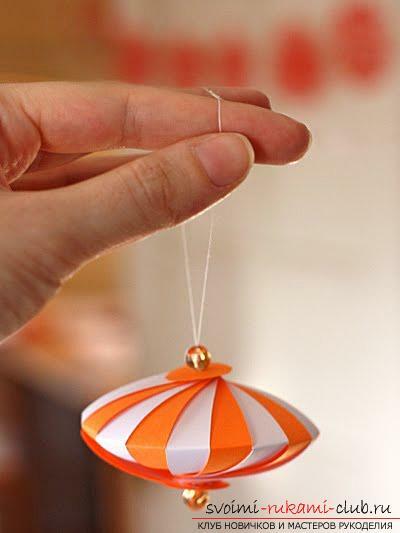 Christmas decorations from paper with their own hands. 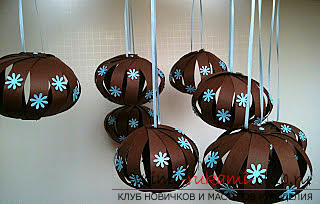 New Year's crafts, Christmas decorations made of paper, a Christmas tree of paper with your own hands, various variations of creating flashlights from paper, tips and recommendations for work. Some are used to preparing for the New Yearholidays, buying expensive jewelry in stores. This, of course, will make your interior elegant, but nothing is able to match the decorations created by your own hands. The process of creating paper adornments warms up our anticipation of the expectation of the holiday and gives unforgettable moments of happiness spent among the family. 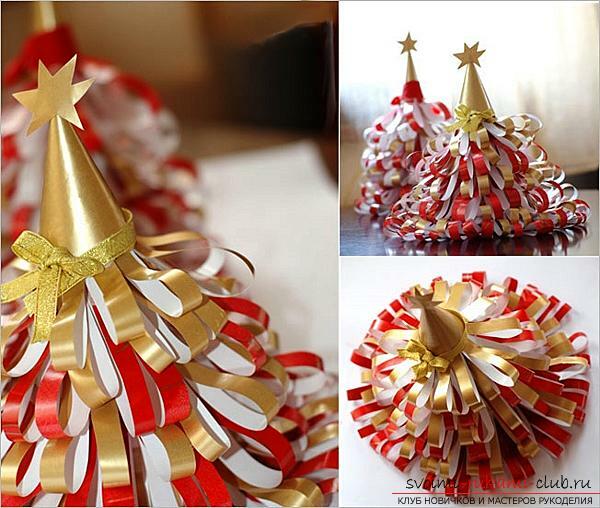 Creating a small Christmas tree For a basis of this Christmas tree use cardboarda cone, and from tools you will need only an adhesive tape, scissors, glue and multi-colored paper. As for the manufacturing stages, everything is simple here. 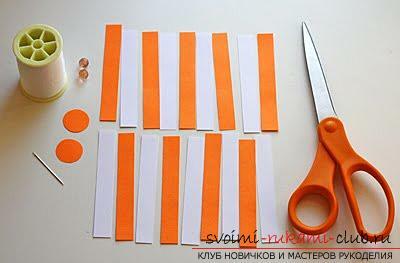 Cut the paper stripes of the same length and width. Each of them must be glued together in such a way as to make the original loops. Each of the loops in turn is glued to a strip of scotch. Next, take the paper cone, which must be made in advance. On it also it is necessary to stick adhesive tapes on separate layers, on which the eyelets were previously glued. You should get a Christmas tree, as in the picture below. Variations of creating flashlights from paper To create such a flashlight, as in the photo,cut a lot of strips of colored paper. Their width and length should be the same, but the stripes will be longer, the more you will get a flashlight. Focus on the length of about 15 cm. 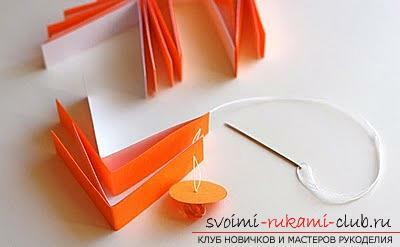 Fold all the stripes and make holes on both sides with a needle. On one side you need to fasten the shoe, but do it so that it does not jump out. Then thread the cord into the other hole and pull the thread, the strip will become a semicircle. 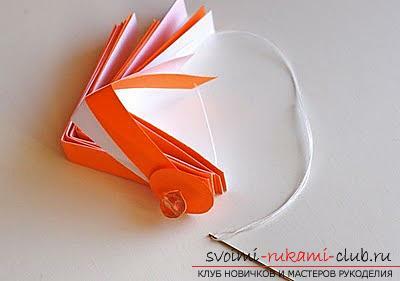 If you used paper of only one color in the work, then the toy can be decorated. 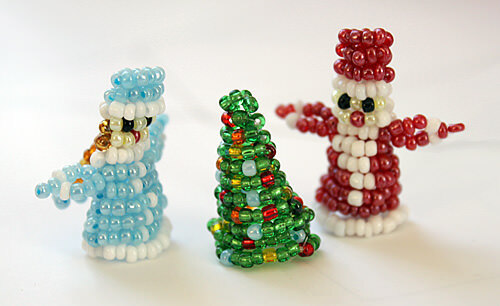 For example, you can make a lot of small flowers, or you can just pre-cook different sequins, sequins beads, and decorate the flashlight with them. In the end, you need to straighten all the stripes in such a way that a flashlight in the form of a ball. A small Chinese paper lantern Continue creating lanterns by preparing paperdifferent colors, pencil, ruler, scissors, needle, thread and two beads. Now get to work. And first of all you need to cut the paper into 18 strips, their length should be about 10 cm, the approximate width is 1-1.2 cm. Additionally, you need to draw 2 small circles, their approximate diameter is about 2 cm. 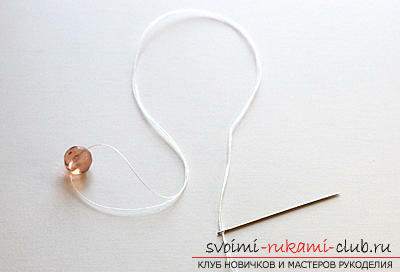 Next, you need to put the bead on the thread and already double the tip of the thread into the needle's eye. You should get the same as in the photo. Bend all the available stripes in half. First, thread on the thread circle, and then all the strips (for greater effect, you can alternate strips of different colors). 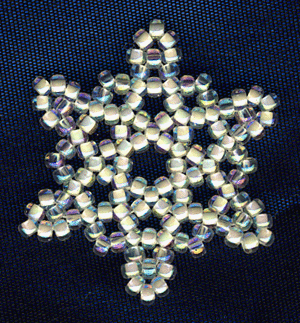 In the same way, string the opposite sides of the stripes on this thread and complete the work with the second circle and the bead. In the end, you need to straighten all stripes, like a fan. Now the paper decoration is ready. A detailed master class will teach how to sew pants for a child with their own hands quickly and simply, without patterning.